Eaton’s offers a wide range of DC secure power services including power quality evaluation, sizing, design consultancy, installation and commissioning, full project management and turnkey integration, anywhere in the world.Our individually tailored service contract plans can provide ongoing service maintenance, training, after-sales service, and repairs, Eaton’s global presence ensures quick response times for all of our customers. The Eaton® 3G Enterprise Power Solutions are the ideal solution for converged data networks and low power telecommunications applications requiring compact, efficient and flexible DC power supplies. 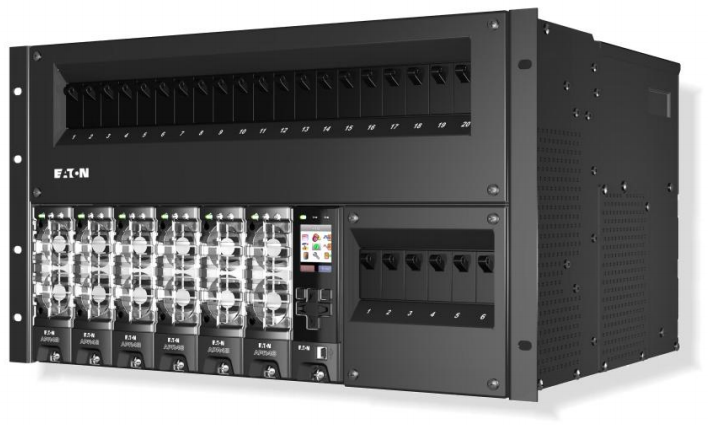 This EPS2 series is a 19” rack mounted system and is available with up to two of the Eaton 3G Enterprise or Access 48V rectifier modules providing a total output of up to 4000W. The versatile SC200 system controller features a front access USB port for ease of system setup along with a RS232 rear port and a 10BaseT Ethernet port for remote networking and communications. This module is slim and rack mountable to suit the likely applications for these systems such as server room racks. The battery modules use simple ‘plug and play’ cables for connecting the Enterprise Power Solution. No specialized tools are required, thus making installation very easy in an IT environment. 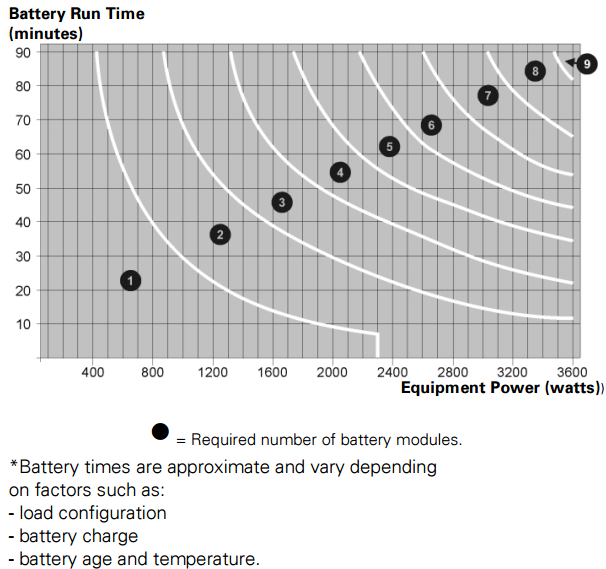 EBM has an 18Ahr capacity and is service maintenance free for the life of the battery module. Battery function is monitored and controlled by the power system controller for complete battery protection. The Eaton® 3G Access Power Solutions are ideal for low to medium power telecommunications applications requiring compact, efficient and flexible DC power supplies with or without batteries. This Eaton 3G Access Power Solution 400 series has UL and FCC standards certifications. A technician friendly user-interface includes a full color menu screen and is preconfigured for fast install and easy commissioning. All system settings are fully adjustable in software and stored in transferable configuration files for repeatable one-step system set-up. With up to 6kW of power output, it features state-of-theart 48V 3G or Energy Saver (ES) Access Power Rectifiers for superior operating efficiency (>96%). 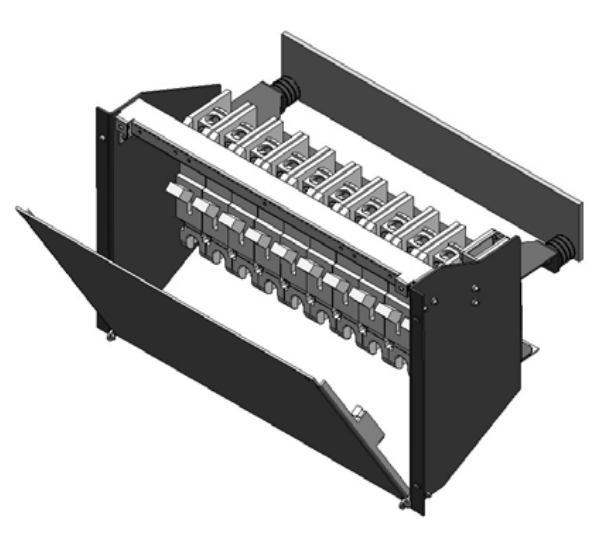 The DC distribution panel, simple to use hydraulic magnetic circuit breakers, and optional low voltage disconnect (LVD) modules are fully integrated. The APS6-400 series has up to 12kW of power output, it features state-of-the-art 48 volt 3G Access Power Rectifiers, an integral DC distribution panel, easy to fit plug-in hydraulic magnetic circuit breakers, and optional low voltage disconnect (LVD) modules for battery and non priority loads. The advanced system controller offers high-level communications capability for real time information. It also has built-in intelligence for optimizing system efficiency, and comprehensive alarm and system status notifications, which are all designed to minimize operational expenses. Other features include temperature compensated voltage output, automated equalize charging, and integrated battery testing, for maximum battery life under a wide range of environmental conditions. The advanced SC200 system controller offers high-level communications capability for real time information, including an Ethernet port for connecting directly to the Internet. It also has built-in intelligence for optimizing system efficiency, and comprehensive alarm and system status notifications, which are all designed to minimize operational expenses. High efficiency and unity power factor. Fast on-line expansion of rectifiers (hot-swap). Low voltage disconnects for battery and non priority loads. Easy fit plug-in hydraulic/magnetic circuit breakers. Pre-configured software for quick & simple deployment. Remote access (TCP/IP, web browser, SNMP). 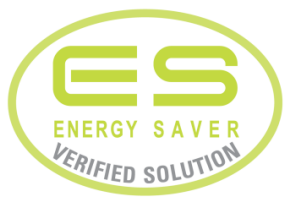 Energy management software optimizes operating efficiency for lower OPEX. All cabling top entry with optional rear cable duct extension for raised floor cable access. The Extension Battery Cabinet can be fitted with an optional DC Distribution, extending the number of output circuits available from the power cabinet. 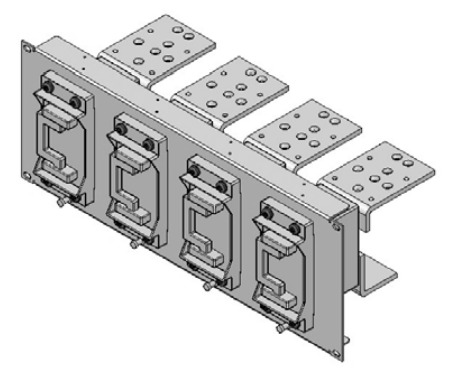 These distributions utilise easy fit, plug-in hydraulicmagnetic breakers. When connected back to a DV2- 3G Metro power cabinet, features include automatic temperature compensation, Battery MCB alarm monitoring, automatic equalizing and fast charging, and automatic battery testing. All cable entry is top access. 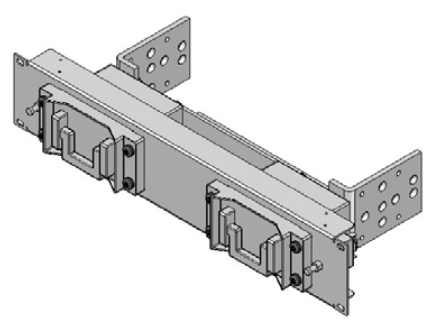 An optional rear cable duct extension is available to allow cables to be run to the top of the cabinet in raised floor situations. The Eaton® Data-Voice-Video Core Power Solutions range of DC power systems are designedfor telecommunications network applications requiring high powered, efficient and flexible DC power supplies. These DC power systems use Eaton CR48-3G rectifier modules and include an integral AC and DC distribution with flexible combinations of fuses and MCBs, and an SC200 system controller. Low voltage disconnect (LVD) options are also available. DC distribution cabinets can be connected in parallel where additional distribution space is required. Maximum rectifier capacity is 92.8kW, with additional cabinet(s) required for greater capacity. 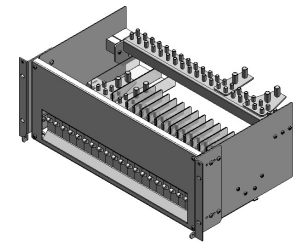 Systems up to 15,000A can be configured using external busbars. The Matrix 2000 solution uses digital microprocessor control to provide maximum performance under all operating conditions. The built-in controller gives realtime system status through comprehensive LCD/LED displays, and allows program setting through a keypad panel. Eaton® DCTools is the new configuration software for field technicians installing and maintaining Eaton DC power systems. It is supplied at no charge by download from the Internet and simplifies the setup and operation of all Eaton DC power systems. 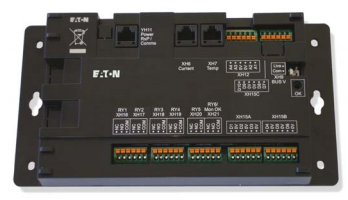 For added flexibility DCTools can connect to an Eaton DC power system in three ways; directly through an RS232 serial connection; through a dialup or cellular modem, or through an Ethernet LAN/WAN. DCTools is the ideal setup and diagnostic tool for field technicians. It provides a very easy way for them to configure an Eaton DC product, and view status and alarm conditions. Among the advantages of using DCTools are reduced installation times, lower fault response times, less need to visit sites and better access to operating data for fault analysis and operating conditions such as load growth. These make the processes of power system installation and operation more efficient with the potential for real operating cost savings. The EPR48-3G is a telecom network grade rectifier with 900W output. It is designed for operation at up to 70°C (158°F) and under a wide range of AC power conditions. The EPR48-3G rectifier is microprocessor controlled and includes intelligent features such as automatic set up during installation, temperature dependant variable speed fans for lowest audible noise and automatic self protection over wide ranging environmental conditions. The EPR48-3G also has power factor correction and is up to 91% efficient, with optimum performance available at typical load currents. Together these give the EPR48-3G some of the lowest running costs for any DC power system of its type available. The EPR48-3G rectifier module will provide years of cost-effective, and trouble free service for your 48V enterprise access equipment. The APR48-3G rectifier incorporates a combination of leading-edge high frequency switch mode technology for a flexible and efficient DC power source, with high reliability fan cooling which further contributes to its high overall reliability. The APR48-3G is a high powered rectifier with 1800W output. It is designed for operation at up to 70°C (158°F) and under a wide range of AC power conditions. These features make the APR48-3G perfectly suited to the wide variety of equipment and demanding environmental conditions found in networkaccess applications. The APR48-3G also has power factor correction and is up to 92% efficient, with optimum performance available at typical load currents. Together these give the APR48-3G some of the lowest running costs for any DC power system of its type available. Operating with the Eaton SC100 or SC200 system con-troller, the APR48-3G rectifier modules will provide years of cost-effective, and trouble free service for your 48V network access equipment. 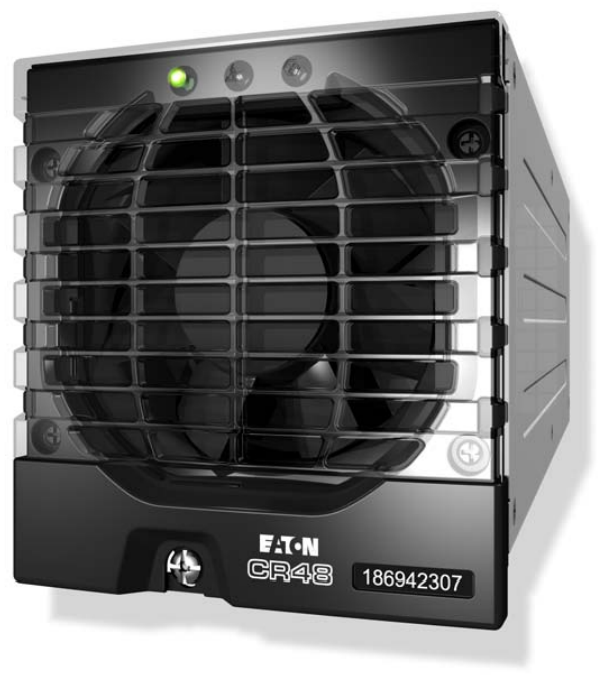 The Eaton® APR48-ES Energy Saver Rectifier is designed for communications network operators who are striving to cut energy costs across the network, and/or to meet aggressive carbon footprint reduction targets. Operating with well over 96% efficiency, it produces at least 50% less waste energy than most other modern rectifiers, and with potentially greater savings over older infrastructure. The 2kW Energy Saver Rectifier is the ideal module size for powering access applications within a telecom network such as cellular base stations, ADSL equipment, and fibre nodes. The high power density, short depth and flexible mounting options makes the Energy Saver Rectifier well suited to limited space applications such as ETSI and road side cabinets. The Energy Saver Rectifier is fully compatible with existing Eaton 3G systems and it is one of the easiest rectifiers to use, with a simple plug-and-go insertion. It operates under a wide range of AC power conditions and in temperatures at up to 70°C (158°F). 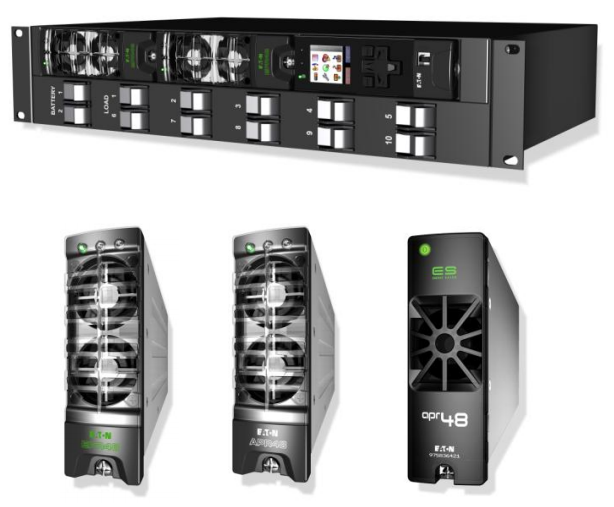 The new generation 3G architecture of the CR48-3G rectifier has improved space utilisation so rack space can be maximised for use with telco equipment and not power equipment. The combination of industry leading power density and high frequency switch mode technology with high reliability fan cooling makes the CR48-3G a flexible, efficient, and very highly reliable DC power source. The CR48-3G is a very high powered rectifier with 5800W output, it is designed for operation at up to 70°C (158°F) and under a wide range of AC power conditions. The SC200 provides full generator control and fuel metering capability for off-grid, hybrid generator, battery, solar and wind applications. It provides a full suite of advanced communications options, including built-in Ethernet interface, Web server, and SNMP agent. Alarm notifications may be by SNMP traps, email, SMS, dial-out to PowerManagerII remote monitoring software, or relay contact closures. An intelligent “Smart Alarms” feature provides highly configurable control and alarms to automated site management and improve performance – e.g. 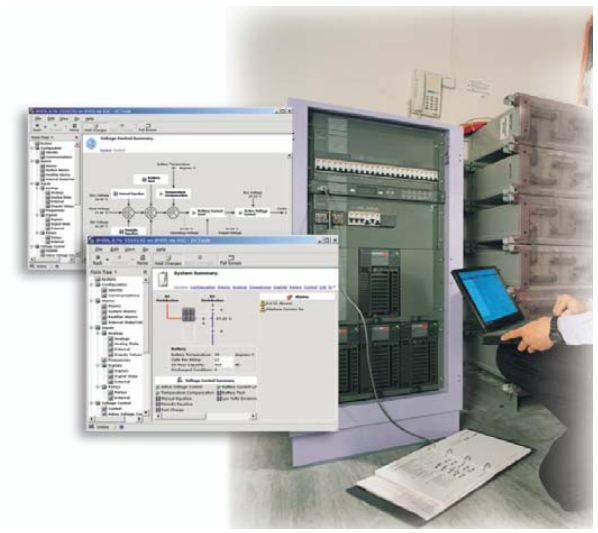 disconnect loads during peak AC grid loading, run outdoor cabinets in low noise mode at night, manage cooling, or customise site alarms to network requirements. SiteSure-3G modules can be remotely controlled and configured using the Power Xpert remote control and monitoring software or with DCTools local craft terminal. The Eaton® SiteSure-3G adds on to the SC200 Controller to provide control and monitoring of a wide range of external devices. It uses the communications capability of an Eaton DC power system to monitor and control security, air conditioning, engine alternators and other building services, or sense DC currents for load metering. The Eaton 3G DCD1M Series of DC Distribution Module is a 1U high, 19” rack mount 48V DC distribution module, an ideal solution for converged data networks and low power telecommunications applications requiring compact, efficient and flexible DC power supplies. The DCD1M series is available with up to two battery circuits and 10 individual load circuits. It may be used with either the Eaton 3G series of secure DC power systems or as ‘standalone’ for use with 3rd party equipment. The high interrupt rating of the battery circuit breakers make the DCD1M series suitable for use as a primary protection module with a wide range of batteries. This module features front access, easy to fit, push-in circuit breakers for ease of installation and servicing in the field. The DCD1M is available with an optional low voltage disconnect contactor to prevent over discharging of backup batteries, an onboard current sensor and MCB trip detection monitoring for use with the Eaton 3G series of secure DC power systems. Typical applications include providing DC distribution for customer premises equipment, roadside cabinets, converged VoIP/data networks, IP routers and small PABX’s. The DCM2000 DC distribution provides circuit protection for a wide selection of telecommunications loads up 250A per circuit and 800A per distribution. All circuit breakers are alarmed through aux contacts providing volts free alarm signals. The DCM2000 is designed to comply with recognized international standards and for complete operator safety. Full front access is provided to allow easy termination of load cables in either vertical or horizontal cable entry. The DCB1000 DC distribution provides circuit protection for a wide selection of telecommunications loads up to 1200A per distribution. All MCCBs are alarmed with automatic detection of load current to prevent false alarms from unused circuits. The DCB1000 is designed to comply with recognized international standards and for complete operator safety. Full front access is provided to allow easy termination of load cable. The DCF0208 and DCF0408 DC fuse distributions provide circuit protection for a wide selection of telecommunications loads requiring up to 800A fuse protection. All Fuses are alarmed and provide volts free alarm contacts through shunt trip circuit breakers. The DCF0208 and DCF0408 are designed to comply with recognized international standards and for complete operator safety.